The team will be heading to Romania to film some crucial scenes after completing shooting in Dubai. The Saaho team was to fly down to Dubai to film some important portions including an action block at the world’s tallest building Burj Khalifa, but the schedule now stands postponed. Reports are that it has been rescheduled to later this month due to various reasons that have not been disclosed. Apart from the schedule in Dubai, the team was also planning to shoot in other foreign countries, say sources and all that also stands postponed to a later date. Directed by Sujeeth Reddy, Saaho is bankrolled by V. Vamsi Krishna Reddy and U Pramod under the banner UV Creations. It is a magnum opus made on a budget of Rs. 150 crores of which Rs. 40 crores have been earmarked for the stunt sequences alone. 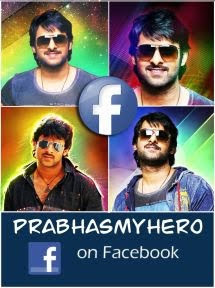 Starring Prabhas in the lead role, the film has Bollywood actor Shraddha Kapoor playing the female lead. Others in the supporting roles include Neil Nitin Mukesh, Mandira Bedi, Arun Vijay, Jackie Shroff, Lal, Mahesh Manjrekar, and Tinnu Anand. Shankar – Ehsaan – Loy have been signed up to compose the tunes for this flick with R Madhi cranking the camera and A. Sreekar Prasad roped in for editing. Internationally renowned stunt choreographer Kenny Bates has been signed up to choreograph the action sequences, which would be the major highlight of Saaho. According to reports, the Saaho team would head to Romania to film some crucial scenes after completing the Dubai schedule. Being a sci-fi action entertainer, its lead star Prabhas had to do a lot of homework to get into the skin of the character he plays. He reportedly learnt scuba diving for the underwater scenes that were filmed on him, add sources. 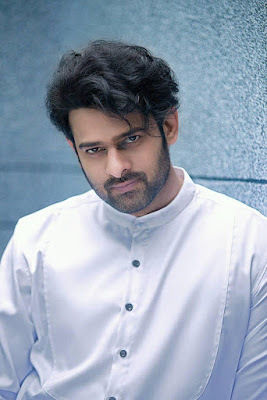 The shooting of this film began in June last year and the first look poster featuring its lead star, Prabhas, was released on his birthday on 23rd October. The film is scheduled to hit the silver screens later this year.